Sustainability is all about keeping the delicate ecosystems of our planet in balance. It’s a broad discipline and it can be practiced in many areas starting from our day to day lives, businesses, technology, energy use, our lifestyle, social sciences and many more. In simple words, anything that can have an impact on our environment, has a connection to sustainability. When we hear the word “sustainability”, we sometimes inadvertently link it to renewable energy sources, reduction of carbon emissions, environmental protection, reduction in global warming, etc., but it’s a lot more than just that. In short, sustainability looks at protecting our natural environment, while driving innovation to meet our current needs. Sustainability was an alien term during the first industrial revolution. But by 1980’s, we started getting to know about the problems of the greenhouse effect, the destruction of the ozone layer, the finite resources of fossil fuels and the scourge of global warming caused by carbon emissions. It was then that we saw the social, economic and scientific birth of the environmental movement. Growth, prosperity and advancement in our societies are imperatives but sustainability focuses on balancing the fine line between competing needs; our need to move forward technologically and economically and the need to protect our environment. In my view, the biggest factor which can help societies to practice sustainability is awareness. It is clearly because of the lack of awareness that people do not know the ramifications of our lifestyles on the environment. The way we consume water for washing and cleaning, the manner in which we waste electricity (more in our offices than in our homes), can all be changed with awareness of its impact on our environment. For organization’s which are uninitiated in the topic of sustainability, the meaning of sustainability in their business is to remain in business and being profitable today, tomorrow and thereafter. We hear a lot these days about corporate sustainability but in my opinion, if we all practice simple sustainability measures at an individual level, the impact of that would be much bigger on the environment than organizations having a sustainable approach in whatever they do. Corporate sustainability is essential but not every organization has it embedded in their growth charter, simply because it’s not a mandate yet. It’s still looked upon as a burden and not as an aspiration. This behavior is slowly changing with investors asking for sustainability reporting and few CEO’s feeling socially responsible in the societies in which they operate. A very simple definition of sustainability can be, that in business, we need to look at the value that we are creating and also the risks that are getting created in the process. Sustainability is all about mitigating and managing those risks. Large organizations can do a lot in practicing sustainability starting from their procurement and manufacturing process, to packaging, transportation, entire supply chain, energy use, water usage, vendor management and so on. The challenge however for them, is similar to that of being in a large boat, where people are rowing at different speeds and the effort begins by developing a mechanism, to ensure that everyone rows at the same speed. Good thing about sustainability is that there are no competitors; each company is working towards a similar goal, so it’s easy to emulate the best practices. At Schneider Electric, sustainability is at the heart of our strategy. Our mission is to help businesses achieve the energy challenge and at the same time keep our planet cool. Sustainability clearly is not getting its due in our politics, government policies and economic development plans and consumerism can be blamed for this situation. Everyone and every organization wants to grow, but they want to remain oblivious of the cost at which they are achieving this growth. Human behavior is to postpone anything that is not urgent today, so I would like to emphasize again here that awareness is the key for the beginning of any constructive action. If anything, our governments should engage in mass propaganda of sustainable development and eschew its laissez-faire attitude. At an individual level, local communities should encourage people to practice minimalism. Minimalism doesn’t mean living without anything; it means making sure that everything you own and use is put to its maximum purpose. With a minimalist lifestyle, you will recycle and reuse more, go more often for carpooling and look out for opportunities to use your bicycle. 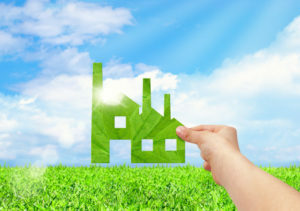 Sustainable living is the practice of reducing your demand on natural resources. Sometimes that can mean not choosing to consume a product that is made using practices that don’t promote sustainability. If we expect organizations to run their offices on renewable energy and follow circular economy practices, then at an individual level, we can at least make the maximum use of daylight, walk or cycle when possible and reduce our energy and water consumption in our daily lives. Sustainability has to be practiced at every level, to save our planet.